Private First Class Edward Gomez was born on 10 August 1932. 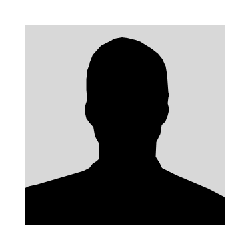 He attended Omaha High School before enlisting in the Marine Corps Reserve on 11 August 1949, at the age of 17. 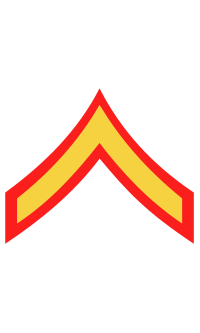 After recruit training at MCRD San Diego, CA, he trained at Camp Pendleton, CA, and went to Korea with the 7th Replacement Draft. 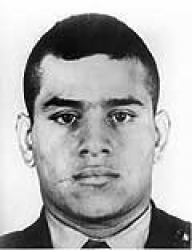 The United States' highest decoration for valor was posthumously awarded to Gomez for extraordinary heroism on 14 September 1951, at Kajon-ni, when he smothered a hand grenade with his own body to prevent destruction of his Marine machine gun team. For conspicuous gallantry and intrepidity at the risk of his life above and beyond the call of duty while serving as an Ammunition Bearer in Company E, Second Battalion, First Marines, First Marine Division (Reinforced), in action against enemy aggressor forces in Korea on September 14, 1951. 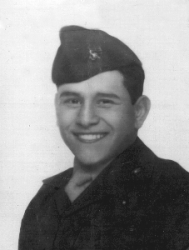 Boldly advancing with his squad in support of a group of riflemen assaulting a series of strongly fortified and bitterly defended hostile positions on Hill 749, Private First Class Gomez consistently exposed himself to the withering barrage to keep his machine gun supplied with ammunition during the drive forward to seize the objective. As his squad deployed to meet an imminent counterattack, he voluntarily moved down an abandoned trench to search for a new location for the gun and, when a hostile grenade landed between himself and his weapon, shouted a warning to those around him as he grasped the activated charge in his hand. Determined to save his comrades, he unhesitatingly chose to sacrifice himself and, diving into the ditch with the deadly missile, absorbed the shattering violence of the explosion in his own body. By his stouthearted courage, incomparable valor and decisive spirit of self-sacrifice, Private First Class Gomez inspired the others to heroic efforts in subsequently repelling the outnumbering foe, and his valiant conduct throughout sustained and enhanced the finest traditions of the United States Naval Service. He gallantly gave his life for his country. Gomez was killed in action on 14 September 1951. He is buried at Saint Mary's Cemetery in Omaha, NE.